Beer is among the world’s most consumed beverages next to water, tea and coffee. Its main ingredients are barley (sometimes wheat or rye), hops, water and yeast. It comes with different alcohol contents. Currently, there are a host of beer brands in the market as well as a variety of flavors. Beer is served and packaged in different ways. Some people enjoy taking it straight from the tap, like draft beer. Others prefer bottled beer. So how does draft beer differ from bottled beer? Continue reading and discover their differences. Draft beer is beer that is unpasteurized and unfiltered. It is sometimes called “draught.” Its name is derived from the method of “drawing” beer from the tap or keg. The way draft beer is stored in a keg helps shield it from sunlight. This way, the beer’s flavor and aroma remains intact. Draft beer is usually prepared in breweries, bars or restaurants. On location, the carbonation level of the beer can be customized. From the kegs, it will pass through a tap line and can be poured into a glass and served immediately. Bottled beer is the pasteurized and filtered type of beer. 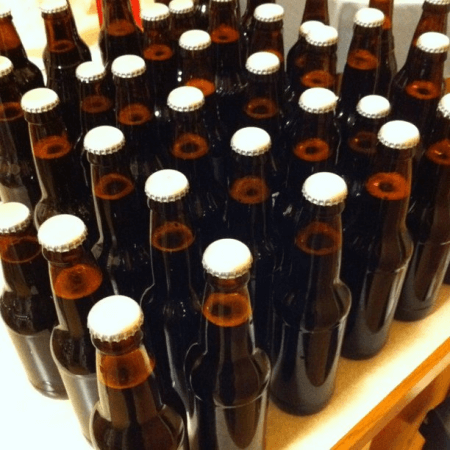 The beer is cleared of yeast prior to being packaged in a bottle. Some companies who market bottled beer add certain ingredients to enhance its flavor. Bottles are sterilized to avoid being contaminated by bacteria. This type of beer can be kept in storage for up to three months. The beer is usually packaged in dark colored bottles. This is to minimize exposure to sunlight, which can affect its flavor. What is the difference between draft beer and bottled beer? Both go through the same process and have similar basic ingredients. It is in the storage and packaging that they mainly differ. This difference affects the taste and life span of the beer. Draft beer is stored in kegs and protected from sunlight while bottled beer is sometimes vulnerable to sunlight when stored in light-colored bottles. Draft beer is prone to contamination when tap lines are not properly maintained. Bottled beer, on the other hand, is stored in sterile bottles and the product quality is controlled. Draft beer is said to be more flavorful and aromatic than bottled beer. Both draft beer and bottled beer are available in breweries, bars and restaurants. However, bottled beer can also be bought in groceries and convenience stores. Draft beer has a shorter shelf life than bottled beer, which can be stored up to three months. Watch this video to determine the pros and cons of draft beer and bottled beer.